The Royal Commission has been trialing the use of Gigapixel photography to present and virtually interact with sites and landscapes across Wales. Our biggest project to date has been ‘Digital Dissent’, the creation of a ‘virtual museum’ of Nonconformity in Wales. 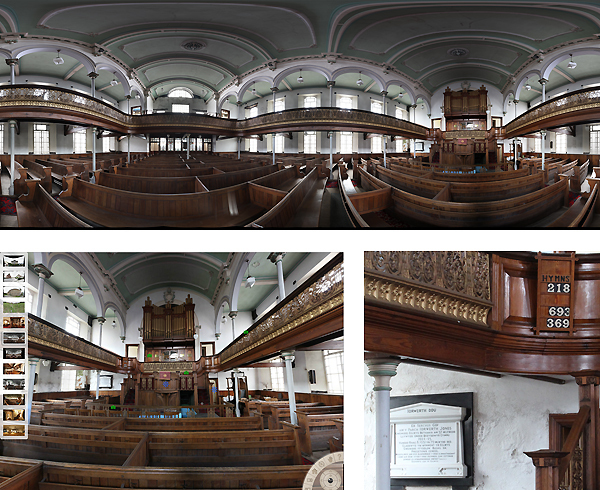 Here Gigapixel photography was used to create panoramic images that form the basis for virtual interactive tours of four chapels. This workshop provides an introductory guide to Gigapixel – what it is, how to get started, the processes involved and the lessons we’ve learnt.